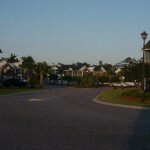 The Ellington at Wachesaw Plantation East Resort is surrounded by stately live oaks, offering guests a welcoming retreat from the high-rise buildings and congestion of the Myrtle Beach Grand Strand — yet, all of the events and businesses of Myrtle Beach are less than 20 minutes away. Known for its championship golf course which has hosted four LPGA tournaments, Ellington is renowned as a golfer’s favorite and one of the must-play courses in the Myrtle Beach area. This Festiva-managed resort is home to Wachesaw Plantation East Golf Course, which was designed by Clyde Johnston and offers challenging play for golfers of all skill levels. The course received national exposure as home of the Kathy Ireland City of Hope LPGA Golf Tournament from 1997 through 2000. But Ellington isn’t just about golf — the resort overflows with amenities and attractions that make it a great destination for golfers, couples and families. 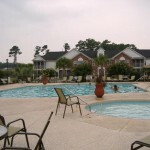 The Ellington at Wachesaw Plantation East Resort, recipient of the Gold Star of Excellence from the Myrtle Beach Area Hospitality Association, is situated south of Myrtle Beach on the Wachesaw East Golf Course, the Myrtle Beach Golf Association’s 2007 Golf Course of the Year as well as a former home of the LPGA Myrtle Beach Golf Classic. Moments from the Atlantic Ocean, the area has more than 100 championship golf courses. Other attractions include historic Georgetown and many music theaters that feature shows for every member of the family. 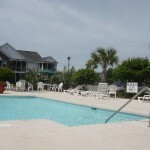 We no longer own at this resort, please look on this website for other rentals, or contact us. Please click here to check availability or to get your week! 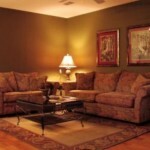 Compare our great rates with the regular rates charged by the “big guys” of $1293 to $1508 per week (source Hotels.com). 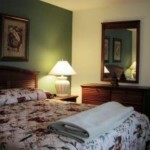 The 1BR lodging accommodation sleeps 4 people, with a king bed in the bedroom, plus a queen sofabed in the living room. 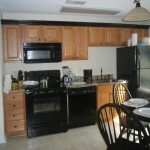 The condo vacation rental also provides a full kitchen and one bathroom. The 2BR villa rental sleeps 6 people, with a king bed in the master bedroom, two twin beds in the second bedroom, plus a queen sofabed in the living room. 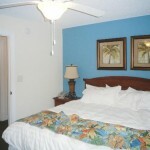 The condo vacation rental also provides a full kitchen and two bathrooms. 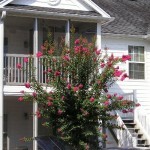 Most villas feature a screened enclosed deck or patio with garden and golf course views. The resort is comprised of Phase 1 (Buildings 1-8) and Phase 2 (Buildings 9-11). 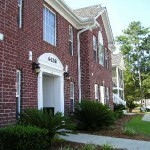 Phase 1 has many renovated units (Buildings 1 & 2 in 2007, 3 & 4 in 2011, and 8 in 2012). Phase 1 buildings are two stories with no elevator, and Phase 2 buildings are three stories with elevator. 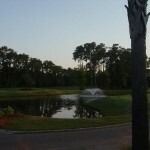 All Phase 2 condo vacation rentals provide golf course views. Golfing is an everyday activity for our guests. 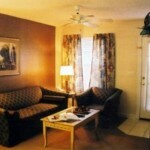 Guests receive discounted rates. 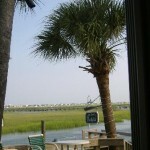 Day trips are offered, such as a Day in Charleston, Sun Cruz Casino Boat or Jungle Princess Riverboat. Discounted Ripley’s Aquarium tickets are available at the front desk, along with coupons for The Day Spa at Wachesaw. Pick up a list of services from the front desk. Ellington maintains a Lending Library at the Activities Office where you may borrow a variety of board games, DVD’s, books and magazines. 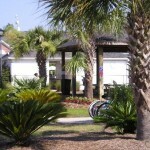 We also offer bike rentals to our guests. Free use of State Park Passes is offered to guests, enabling private beach access during your stay. Smoking: Please refrain from smoking inside your unit. 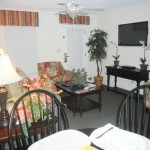 All of the units have a screened in porch equipped with ashtrays for you to sit and enjoy. Pool: The pools are open from 9:00 am to 10:00pm. We do not have lifeguards for the pool area, so please swim at your own risk. Pool towels are provided for you at the pool areas. Resort parking pass: Please stop by our concierge desk to pick up a resort parking pass. Beach Parking Passes: All of our guest are welcome to check out a State Park Pass from the front desk. 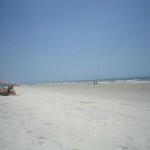 The pass is for free entry into Huntington State Park and Myrtle Beach State Park. If the pass of not returned at the end of your stay, there will be a $65.00 charge posted to your account. Pets: Pets are not allowed on property or in the units. We will be glad to assist you in finding a local kennel to meet your pet’s needs. If you are found to have a pet, a $200.00 cleaning fee will be assessed to your bill along with a $50.00 pest control treatment charge. Please understand that housekeeping will not enter your unit until the pet has been removed. Security Boxes: Security boxes are available at the front desk for safe storage of personal valuables. Ellington is not liable for any lost or missing items, so please take advantage of our storage. 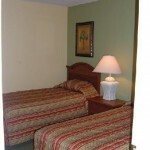 Laundry Room: For those units not equipped with a washer and dryer, we have a laundry room located next to the arcade. It is open from 9:00 am to 10:00 pm. Laundry soap is available at the front desk ($1 per 2 oz. box). Fitness Trails: Enjoy walking or bicycling along our fitness trails located in Wachesaw East neighborhood. Access the path directly behind the guardhouse. Golf: Our owners enjoy free golf, and guests receive discounts at Wachesaw East and affiliated courses. Please contact the golf desk for booking tee times or any questions concerning golf. 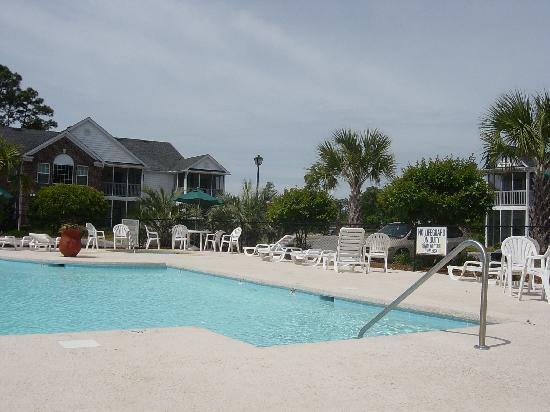 Murrells Inlet – This historic fishing village offers deep-sea fishing, scuba diving, para-sailing, jet ski rentals, and world-class seafood restaurants. Broadway at the Beach – Hard Rock Cafe and Ripley’s Aquarium are just a few of the exciting attractions at this upscale entertainment, shopping and dining complex located in Myrtle Beach. Amusements – The Grand Stand is home to numerous water parks, grand prix race tracks, miniature golf, and amusement parks. Huntington Beach State Park – Consisting of three miles of uncrowded beach located between Murrells Inlet and Pawleys Island. This state park has been found to host the most diverse bird population on the East Coast. Don’t miss viewing areas for alligators and turtles. Brookgreen Gardens – Awarded winning facility, named one of the best five gardens in the South, this site has one of the largest collections of sculptures in America. Guests have 8 featured partner golf courses to choose from, which is up from just 3 previous courses! Course availability and discount stipulations may vary. See the front desk to check rates and to book tee times.